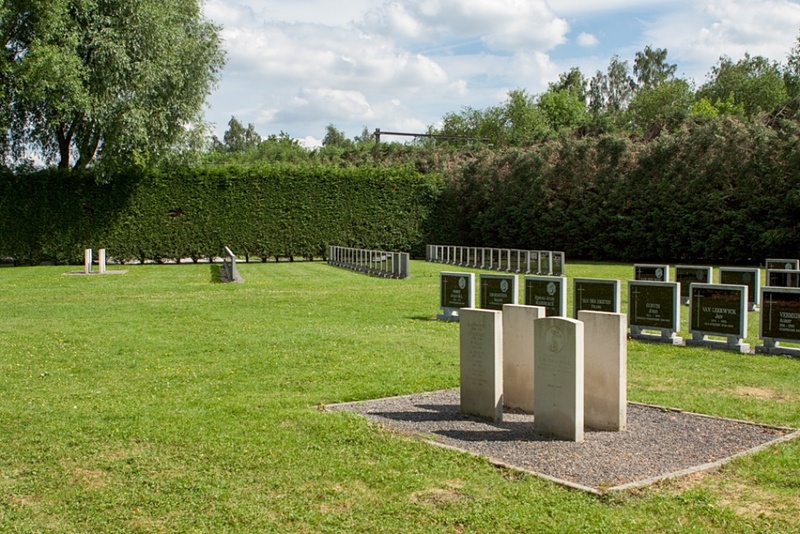 Canticrode (Krijgsbaan) Civil Cemetery is located south-east of the city of Antwerp on the R11. From the E34/E313 turn off at Junction 1 onto the R11, Frans Beirenslaan direction Mortsel. 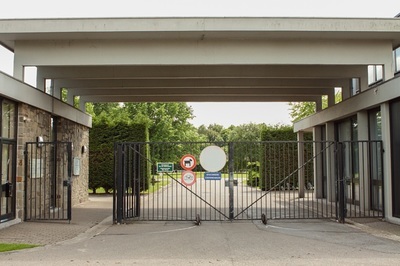 Follow this road past Deurne airport where the road name changes to Krijgsbaan. Follow the Krijgsbaan onto the bridge over the railway and the cemetery is located on the right. From the cemetery car park walk through the arch at the main entrance. Proceed straight ahead across the path at the T junction and towards the boundary. The war grave is in a plot close to the cemetery boundary. This cemetery contains the grave of one Commonwealth war casualty. 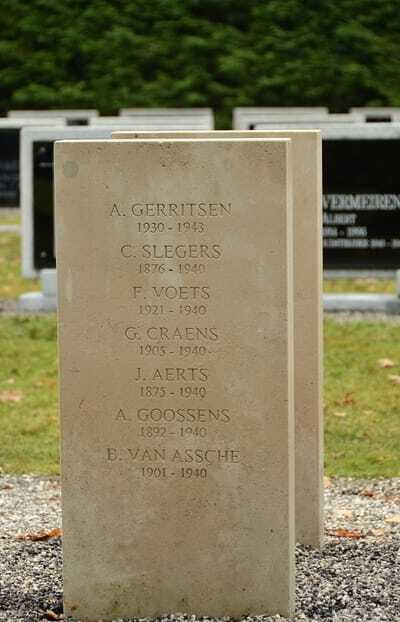 Originally the casualty was unidentified and the burial in this cemetery was unknown to the Commission until 1985; it is in a plot established in the early 1940s for Belgian servicemen and was previously assumed to be the grave of a Second World War casualty. In 1993, objects found with the body and depositions from local citizens identified the remains as a First World War officer of the Royal Naval Division who had died in the defence of Antwerp in October 1914 and who had originally been buried in Edegemsestraat Cemetery. The grave was moved to its present location in October 1940. 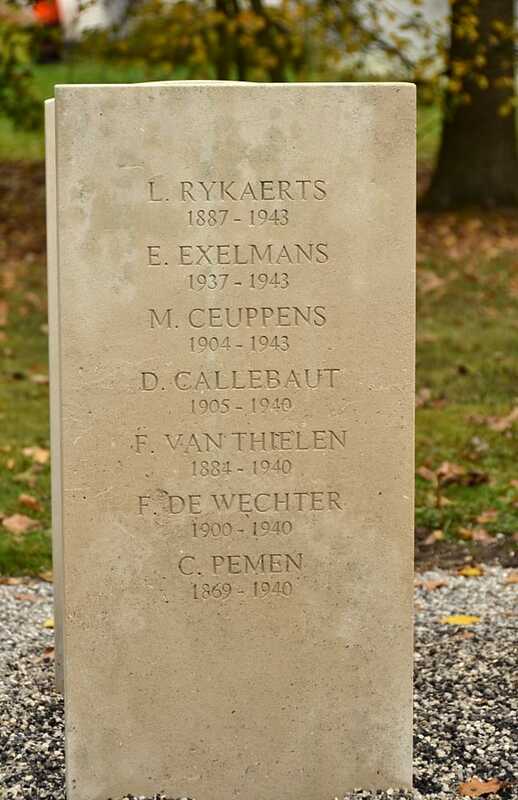 The grave was not marked by a Commission war pattern headstone, but with a white sandstone cross in keeping with the rest of the graves in the Belgian plot. 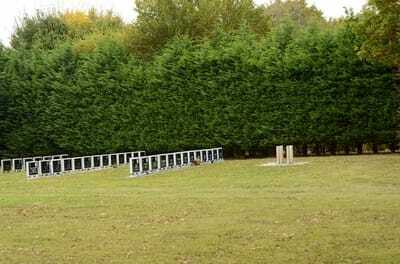 However, following the identification of the casualty, a Commission headstone was erected on the grave. Sub-Lieutenant Edwyn Manners Ridge, Benbow Bn. R.N. Div. 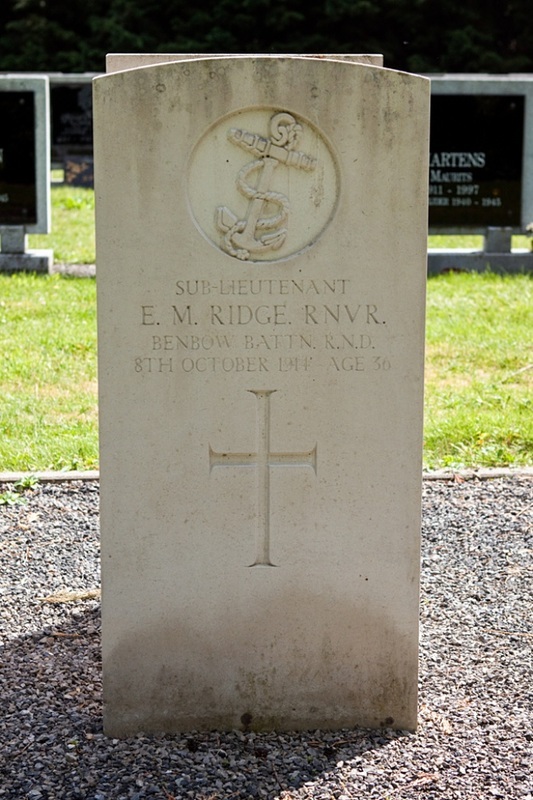 Royal Naval Volunteer Service, died 8th October 1914, aged 36.